9c08159 Disable view presentation if there is no document. 9fc7889 libview: Check number of pages on ev_view_document_changed_cb Fix crash on corrupted PDF with no pages. c238f51 Disable view presentation if there is no document. aa3bcfa libview: Check number of pages on ev_view_document_changed_cb Fix crash on corrupted PDF with no pages. 0a37810 Fixed the value of 6 month and 1 year. f0775c8 configure.ac: Add check for PKG_CONFIG being set. 9991fb1 [libcaja-private] Re-check file MIME type before picking an application. e51b16d [file-manager] Fix apparent bug in context menu updating code. 6dbdc90 GSettings should init before use it. 6c423bc Caja-icon-info: Optimize icon lookups by GIcon. 021ff2a fm-directory-view.c: Decrease minimum update interval. 9f8d950 libcaja-private/caja-recent.c: gvfs-open is a deprecated tool, switch to “gio open” from libglib2.0-bin. d885694 can selected all the search keywords with Ctrl+a. 7ab9374 Use cross-compilation-safe pkg-config macro. d3261c1 Update dropbox.py with shmodel, proxy, and throttle features. ab9e18f Added test integrity for the cfile compressors: gzip, bzip2, etc. But since most of them shows the message with file status to STDERR instead of STDOUT whe should show both in Test result window. 05c064e Use gdk screen resolution for font in keyboard status notification icon, to get correct scaling on HiPDI displays. 90dba6e Use gdk screen resolution for font in keyboard status notification icon, to get correct scaling on HiPDI displays. 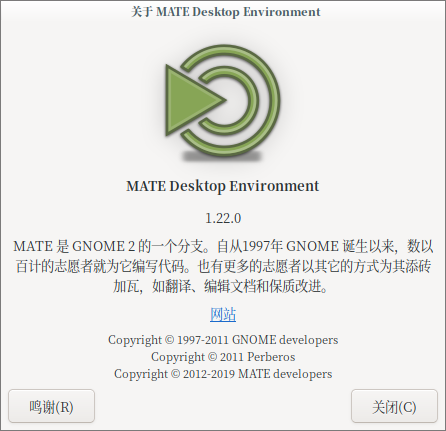 2ce772a tabpopup.c: improve * Fix missing white border on outline window. * Do not create outline_window if we are not going to use it. 3e05a6ff Silent output when building. cefd5e90 Silent output when building. 6c34117f Fix memory leak on accessx-status. c5e048b Fix the runtime warning about gtk_widget_destroy. 383d3da Fixed number of cols error after reload menus. 512b446 Fixed crash when install/remove application. 19fdb3f Mouse: include a toggle to enable or disable middlemouse paste Defaults to ON so as not to change expected behavior until user changes it. b198f90 Fix screen geometry to account for rotation when snapping. 22746a3 Fix the runtime warning about gtk_widget_destroy. 56c1867 Fixed number of cols error after reload menus. da86482 Fix screen geometry to account for rotation when snapping. 89c003e Fixed make distcheck fail on debian. 7304b6d Fixed make distcheck fail on debian. fa47df1 Update to use the latest docker-build script. 178eacc src/daemon/daemon.c: Replace deprecated gvfs-open call by “gio open” from libglib2.0-bin. 139f183 window-list: Skip setting size hints until WnckTasklist has items to show. 015cc74 window-list: Skip setting size hints until WnckTasklist has items to show. 11fedfe mate-screensaver-command: Support unlocking (—unlock) the screensaver via CLI. db623bf Fix make distcheck fail on debian. f96eb6b Strip outer single quotes from string value returned by gsettings in mate-wm script. 5a20027 Fix make distcheck fail on debian. 0034a56 Make setting QT_SCALE_FACTOR optional. bbbc909 Make setting QT_SCALE_FACTOR optional. 29536a9 src/terminal-screen.c: Set TERM to ‘xterm-256color’ (instead of just ‘xterm’). This provides 256 colors terminal application support. 4f89d21 src/terminal-screen.c: Set TERM to ‘xterm-256color’ (instead of just ‘xterm’). This provides 256 colors terminal application support. 73e0a82 Replace the deprecated enchant_dict_add_to_pwl with enchant_dict_add. 433317a Replace the deprecated enchant_dict_add_to_pwl with enchant_dict_add. 7842b86 Examples: remove use of Python 2/3 incompatible urllib/urlparse. d349766 Fix Python 2 INT_ASLONG function. 7c4ff1a Include Python 3 ABI flags in shared library name. 855e612 Make Python statements compatible with version 2 and 3. 047c35b Implement Python 3 C API compatibility using conditional and macros. 1eeb215 Allow to “make dist” without building the docs. ef861e9 Fail to build if some referenced symbol cannot be resolved at link time.